French Champions PSG are set to make a sensational move for Real Madrid superstar Cristiano Ronaldo. The Portuguese international, currently busy with his national side, recently won the UEFA Champions League, the 5th in his career. He was the top goal-scorer in the competition yet again, and is one of the first names on the team sheet at the Bernabeu at the moment. He spoke about his future after the UCL final in Kyiv, and revealed that he is happy in Madrid, and that he expects to stay back at the club for at least another year. However, a couple of teams in Europe are still interested in his services, and Ligue 1 Champions PSG are set to take their first step in trying to land the Real Madrid no. 7. Reports from Spain (AS) claim that Al Khelaifi, the President of the French outfit, is determined to improve on his strike force and wants to see Ronaldo lead the line for his side next season. They spent an insane amount on Neymar Jr last summer, and also signed Kylian Mbappe, and it is understood that Al Khelaifi wants a front three of Neymar, Mbappe and Ronaldo, which will probably be the best in the world of football. However, there are a number of barriers in this deal for PSG. For starters, having spent big on Neymar and Mbappe, PSG need to balance their books if they are to comply with the FFP rules. They are looking to sell the likes of Edinson Cavani, Julian Draxler, and Angel di Maria to raise funds for Ronaldo. But that is just a part of the problem. Ronaldo currently has an astonishing release clause of €1000m, which will be impossible to meet. PSG are ready to spend up to €150m, but will offer CR7 a net salary of €45m, which will certainly tempt Ronaldo. But Real Madrid have their eyes on Neymar, and will let Ronaldo leave only if the Brazilian heads the other way. 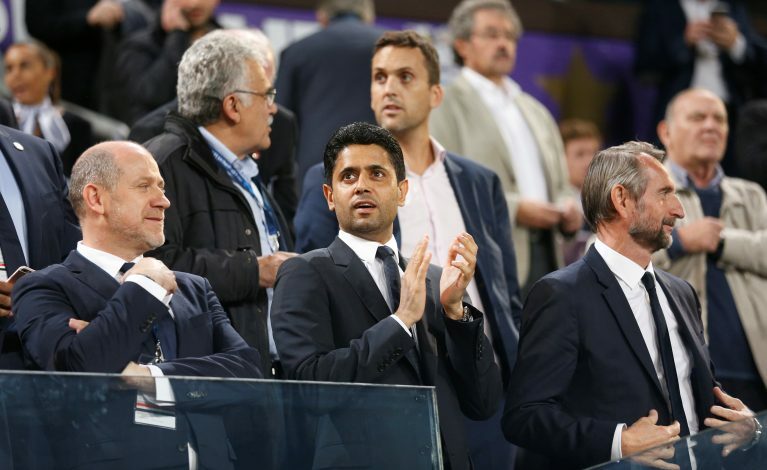 Therefore, it does not look like PSG can field their dream attacking lineup any time soon.